This is the Ultimate Chocolate Ice Cream. I am not kidding. It is deep and dark with a ribbon of fudge, chocolate chips, and cacao nibs. A little goes a long way. 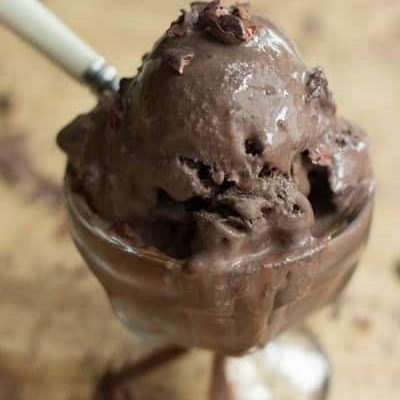 Just a scoop or two of this and your chocolate craving will be fulfilled. 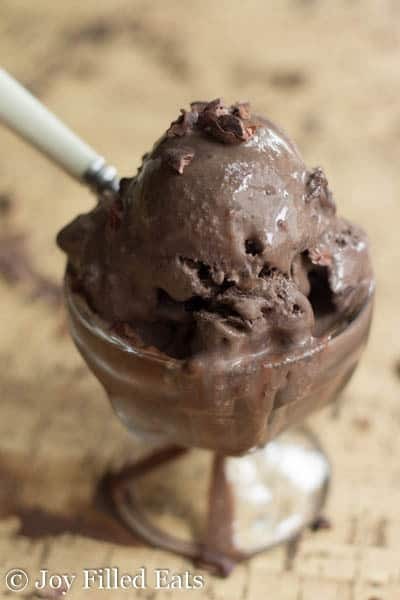 I’ve made up a few chocolate ice creams over the last few months but this was the first one good enough to make it to the blog. It is so chocolaty I almost named it Death by Chocolate. However, I thought Ultimate Chocolate sounded better. Then it even beats the Death by Chocolate ice cream recipes out there. *** If you are concerned about using raw egg yolks you can purchase pasteurized eggs or you can temper the ice cream base. Combine all the ingredients for the ice cream base in a blender. Blend until smooth. Pour into an ice cream machine and churn according to the manufacturer’s instructions. 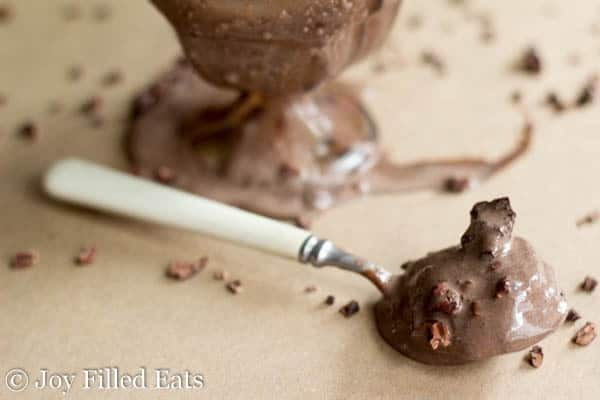 When the ice cream is finished churning stir in the chocolate chips and cacao nibs. Swirl in the hot fudge. Freeze for 3-4 hours or until firm. 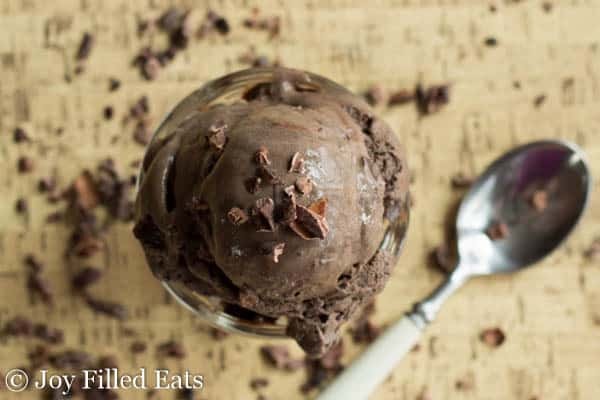 This chocolate ice cream is so rich and decadent with swirls of hot fudge and the crunch of cacao nibs. Combine all the ingredients for the ice cream base in a blender. Blend until smooth. Pour into an ice cream machine and churn according to the manufacturer's instructions. I use my own blend of xylitol, erythritol, and stevia in my recipes. This is twice as sweet as sugar. It is comparable to Trim Healthy Mama Gentle Sweet and Truvia. To sub in Swerve use 1.5 to 2 times the amount of sweetener called for. To sub in Pyure or Trim Healthy Mama Super Sweet use half the amount of sweetener called for. Substitutions will work in most recipes. They may not work in candies, such as caramel. Subscribe to email updates on the right of this page. Could I use regular cocoa powder instead of dark? Hubby's not a big fan of dark. This is the best ever chocolate ice cream! My husband loves the strawberry ice cream so I don't have to share! Would cashew milk work instead of almond milk? I just put them in. I liked the crunch :) You could crush them if you want.